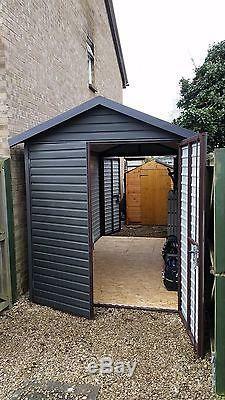 Quality Garden Metal Shed / Garage. 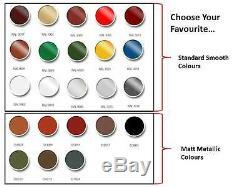 All other sizes and colours available. Good quality and firm steel construction with Galvanized and PVC coated Steel plate. 2x Double or single doors for easy access. Tough 5 point locking mechanism. 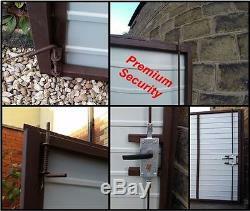 We will reduce 20% of the price please note - you will require Luton van to transport shed in parts. Installation time around 4h for 2 men. Products and service you are looking at are best in class! 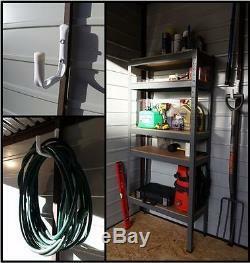 You may want to prepare flat, hardened surface e. Concrete, pavement slabs, paving or wooden base. No building permission required usually - Please always check with your Council first. 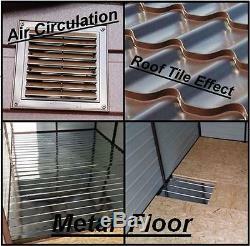 Reduce final price by removing features like: Metal/Wood Floor, Window or changing roof to standard corrugated. Other models and sizes available - please ask. 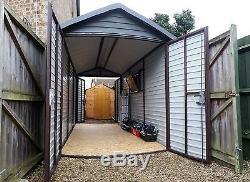 The item "Garden Metal Shed or Motorbike Garage 7x14ft Secure Bike Storage 2x4m all sizes" is in sale since Sunday, February 4, 2018. 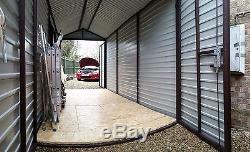 This item is in the category "Business, Office & Industrial\Containers & Pre-Fab Buildings\Shipping & Storage Containers".